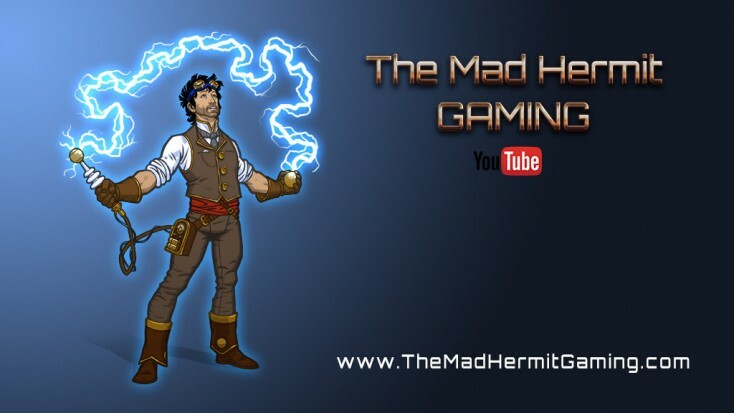 The Mad Hermit Gaming – YouTube Video Producer for Shroud of the Avatar. ONBE by Order of Lord British. Welcome To The Mad Hermit Gaming! Home to the Shroud of the Avatar: New Player’s Video Guide. A collection of video tutorials that cover a wide range of gaming mechanics to get you up to speed on the various features currently implemented in the game. If you are new to Shroud of the Avatar you won’t want to miss it! In case we haven’t met, I am a YouTube Video Producer and backer of Shroud of the Avatar since April 7th, 2013. I am also a life-long gamer, tech geek and gadget junkie. I setup this site to organize the over 93 Shroud of the Avatar videos that I have created on The Mad Hermit Gaming YouTube Channel over the last year and nine months. These videos include Guides, Walkthroughs, Tutorials, Tips, Tricks, Secrets and More! Youtube has been a great medium for distributing this content but has limited customization options for its users. Here I can sort and order things as I like, and share information above and beyond streaming video. For example, here you will find links to other cool sites, resources, and projects like The Village of Recluse, the first Shroud of the Avatar inspired scene that allows you to take a self-guided tour through many of the homes available in-game. So you can try before you buy! Just to be clear, I WILL continue to post my videos on My YouTube channel, and I encourage you to subscribe to it to get the latest updates, as much of the information in pre-alpha is volatile and relevant the closer you see it to release. This space is more of an organized archive of content that I will use to share supplemental information. Think of it as a “second screen” experience for The Mad Hermit Gaming YouTube channel.